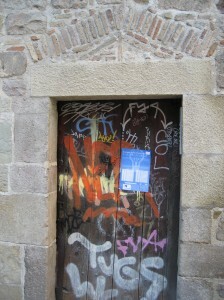 For the past few weeks I have been walking the Camino de Santiago. This ancient pilgrimage route runs the width of northern Spain taking you to the Galician cathedral where St. James’ bones are reportedly entombed. Walking the whole 500 miles in one fail swoop has been on my bucket list after walking it in halves three previous times. 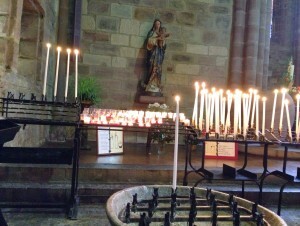 Lighting candles for others, and your journey, in the myriad of churches along the route is a common ritual. I have been holding a set of loved ones in my thoughts along this path and lighting candles for them has made sense. I appreciate that a friend recently sent me an article on the value of prayer for secular and religious people alike, and of just holding gratitude for those around us in this manner. One of my mentors, Angeles Arrien, asked that we honor her after her death by lighting a candle each month for a year on the 24th, the day she passed, and send along a prayer. I will complete that tradition tomorrow. But, what do you pray for? There are prescribed prayers in all the spiritual traditions, but what am I to wish for when praying for another? Walking hundreds of miles, you have time to think and this has been a point of deep consideration. I found I initially want to pray for health for those who are sick, that friendships are mended where suffering exists there, or that someone will get a good job. These wishes fall apart quickly when I think about how I am playing god as I start to guess how another’s life should turn out next. I am the conflict lady who likes to remind, at least herself, that we need discord to grow. Often my initial prayers were selfish requests to keep those I love with me in a way that makes me comfortable. 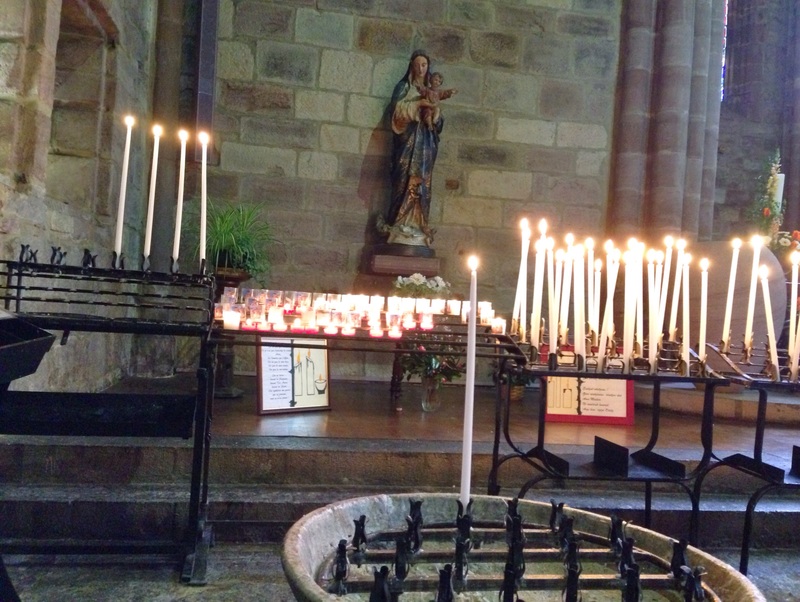 My candle prayers, with hours to consider them, have needed to get away from specific solutions into the essence of what I want to send out to another. Drawing from the Taoist and Buddhist play books, I found that what feels responsible is to wish for another’s well being. What form that will take is not my call. I started to modify a Buddhist metta prayer that goes, “May you be filled with loving kindness, may you be well, may you be peaceful and at ease, may you be happy.” Praying for well being, may not mean someone is cured of an illness necessarily, or a friendship is rekindled, since well being may come through these challenges. Sending thoughts of well being to someone who is no longer in physical form seems to fit better too. What does this have to do with leadership and playing life well, which is blog’s theme? I can easily get focused on form when coaching or teaching another. It is a constant temptation to hope for what others should learn or how they should behave. Not only arrogant, I close down possibility when I get into specific solutions. Yet, if I am holding a more detached yet engaged wish for their true well being, I am much better at my job. This begs the question, how might we live our work as an effective prayer? This entry was posted in Conflict transformation, Leadership Development, Life Challenges, Tough times, Uncategorized and tagged Angeles Arrien, change, conflict, prayer, ritual, spiritual practices on April 23, 2015 by Deidre Combs. The calendar tells me it is spring, but at our home in the foothills of Bozeman, Montana that still equals snow drifts. I shouldn’t complain since my “in town” friends are spending this weekend weeding their gardens to make room for early tulips and crocuses. The arrival of spring reminds me that if you are attached to what your flower or vegetable garden produces, there are usually weed-induced backaches involved. 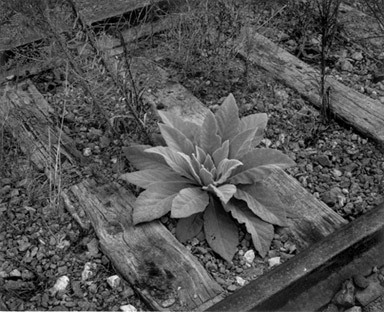 To welcome in the longer days and work ahead, I read a 2002 interview this week with photographer Doug Burgess on his artistic study of weeds. After a childhood of pulling unwanted plants from his parent’s front lawn, Burgess continued this practice as a form of therapy to cope with a miserable job as an adult. Noticing that after 50 years he never had a weed-free patch of earth to show for his efforts, Burgess finally moved to “the dark side,” or a neighborhood where weeds are a norm. So, what makes a weed? I am less than thrilled when bull thistle erupts all over my lawn and vegetable garden. It’s a pain to uproot and no matter how diligent I am at attempting eradication, it returns. Meanwhile, I am told that this “weed,” as the emblem of Scotland, was brought to the United State as a beloved plant by immigrants. A weed is in the eye of the beholder. Outside of its original habitat a weed flourishes. It finds space and opportunity and with it the weed takes root with such gusto that it never wants to let go. Thus, in its enthusiasm it can also push out native species unaccustomed to the interloper. Weeds, like other introduced species, disrupt the balance of an ecosystem and bother its inhabitants. Human have often been compared to invasive plant species when we set out into new ecosystems and create havoc. At the beginning of the 16th century, Christopher Columbus, Hernan Cortez and Suleiman the Magnificent all shifted the landscapes of North America, Central America and Europe respectively. Five centuries later we can still feel the effects of their efforts. When I land in an environment that provides fertile soil for my ideas, I am intoxicated! Isn’t it delicious when you find a community that welcomes you unconditionally? What about a place where you can live unhampered by old constraints? Many are drawn to live in Montana – the “keep your laws out of my bedroom and gun closet” state – for this very reason. I have to admit that getting to wear jeans to dinner parties and roaming through wide-open spaces unhindered is really fantastic. Yet, a common question in our region is we will destroy exactly what has drawn humans like me here for hundreds of years? Am I a weed in Montana? Since no one wants to be classified as a noxious species, you’ll notice that folks here like to be regarded as “Native Montanans,” “a third generation Montanan” or being of Native American descent. Who belongs to this ecosystem, and who doesn’t, creates a constant source of debate here. Walking into the surrounding wilderness though, humans as a whole can feel like very weed-like. The introduction of an invasive species is hardly new. Seeing MacDonald’s golden arches and pervasive graffiti in every foreign city I have visited in the past five years reminds me that “weeds” takes all sorts of forms. A weed’s success can be terrifying, as evidenced in the timely introduction of anti-Semitic rhetoric in the last century. It can also be delicious as we choose from a dozen gourmet chocolate bars at the average American grocery store. Yet, each new introduction calls us to keep reassessing what we deem as beautiful, and what is inherently good or right. In their fortitude and relentlessness, “weeds” assure that these become questions we can’t ignore. In that exercise alone, a weed brings value by asking us to be conscious of what is worth fighting for and how we can best evolve. Regardless of the ecosystem in which we each stand, how can we continue to pay attention to what we’d rather ignore? As I contemplate this question, I am finding the snow in my backyard quite beautiful for the time being. This entry was posted in Conflict Skills, Conflict transformation, creativity, Leadership Development, Life Challenges and tagged change, Conflict transformation, creativity, freedom on March 28, 2010 by Deidre Combs.